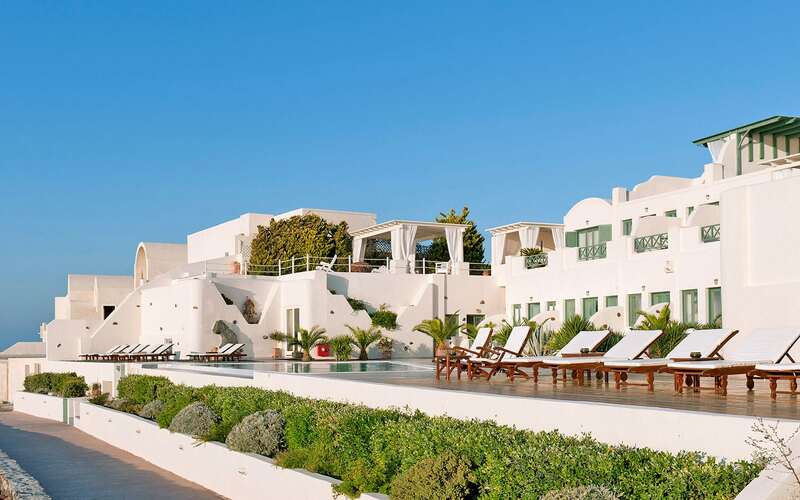 Perched along the top of the famously scenic Imerovigli cliffs, immersed in tranquil gardens, Anastasis Apartments where natural beauty, privacy, peace and its distinctive design calms the mind and soul. 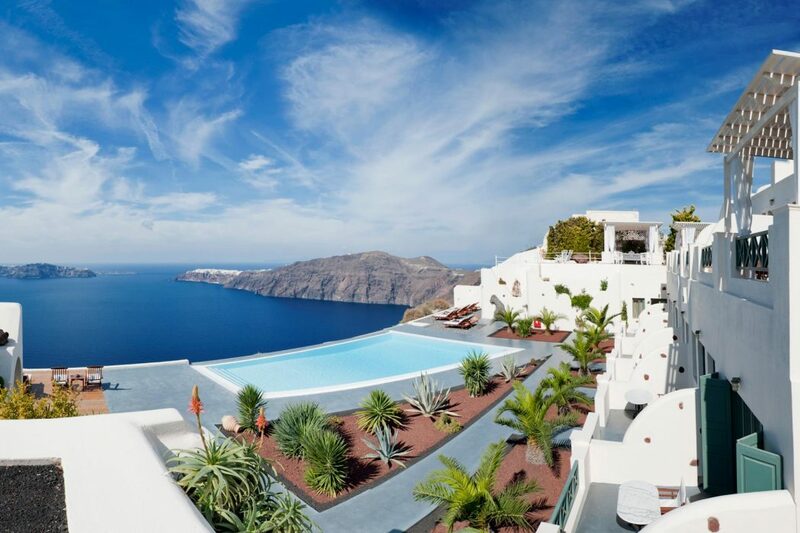 Anastasis Apartments, Imerovigli, located on the North-West side of Santorini between Fira and Oia, on the outskirts of Imerovigli village. 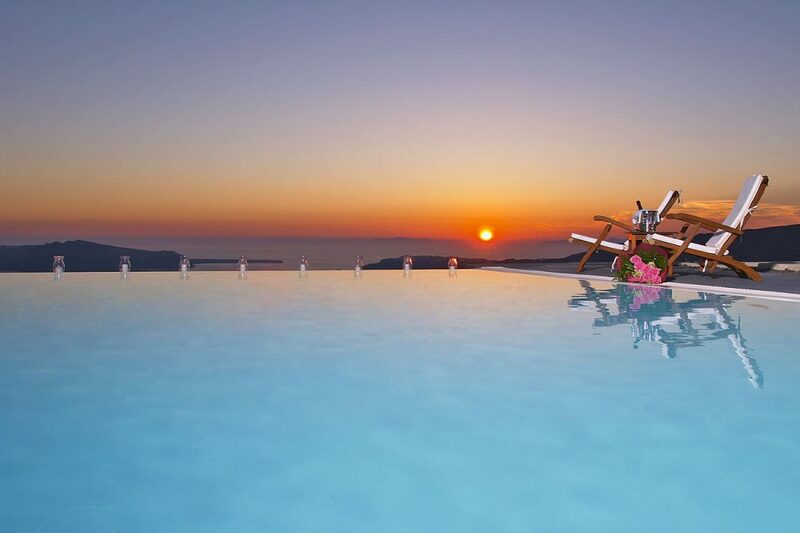 The guest say that Santorini has the best sunsets in the world, and there’s no better place on the island to enjoy them from. 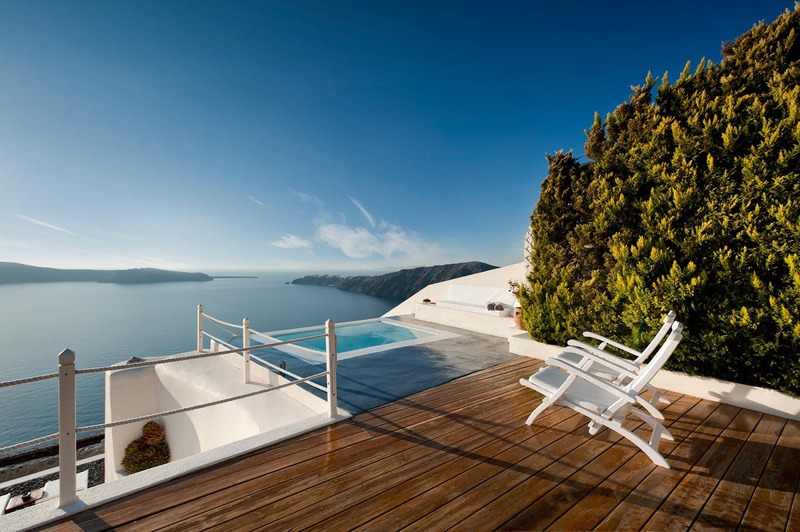 It is a relaxing area on the fringe of the Caldera cliffs – with no cliff steps. 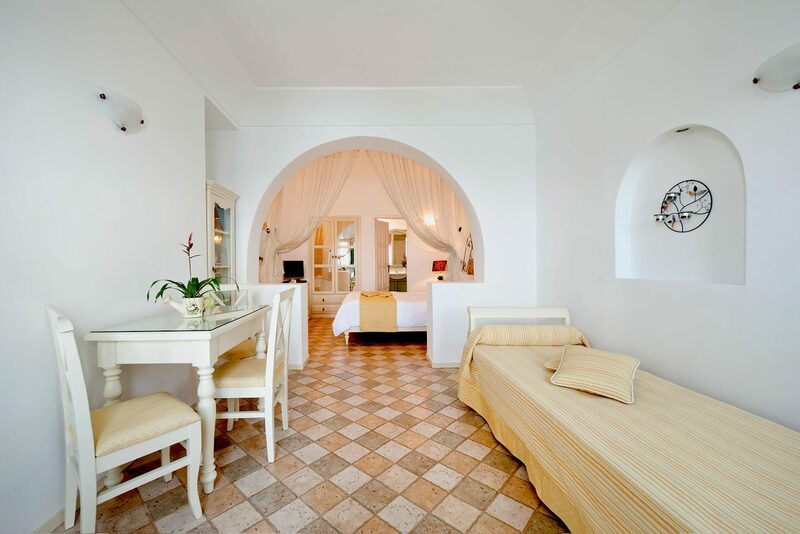 This sophisticated hotel is 4 km from the Museum of Prehistoric Thera and 7 km from Santo Wines Winery. 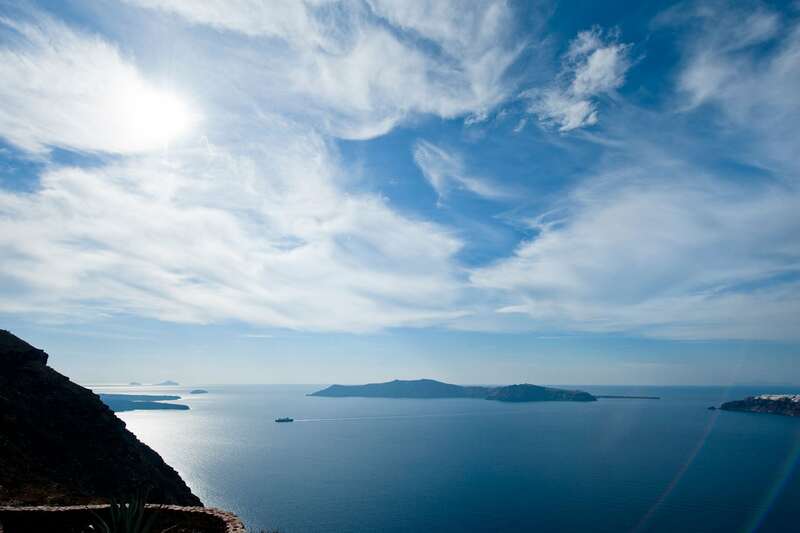 Getting to Santorini Airport is about 15 minutes by car, while the sea port is seven and a half miles from the hotel. 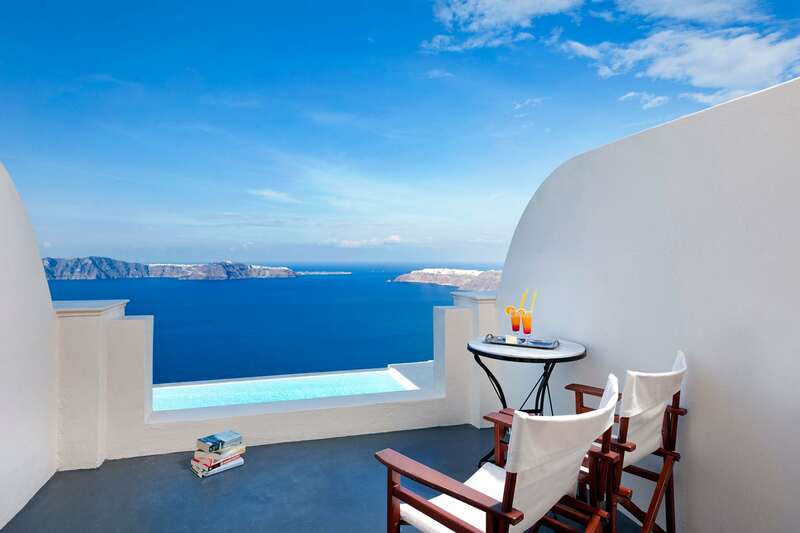 Clearly designed with relaxation in mind, Anastasis Apartments has plenty of spots for guests to relax and take in the views. 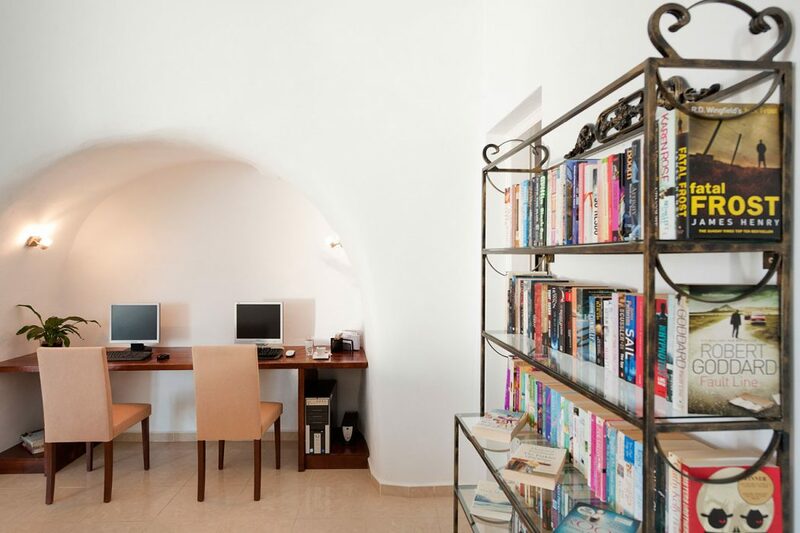 The lobby is simple, featuring wooden floors and a small wooden desk within an arched alcove and a rack of rentable DVDs nearby. 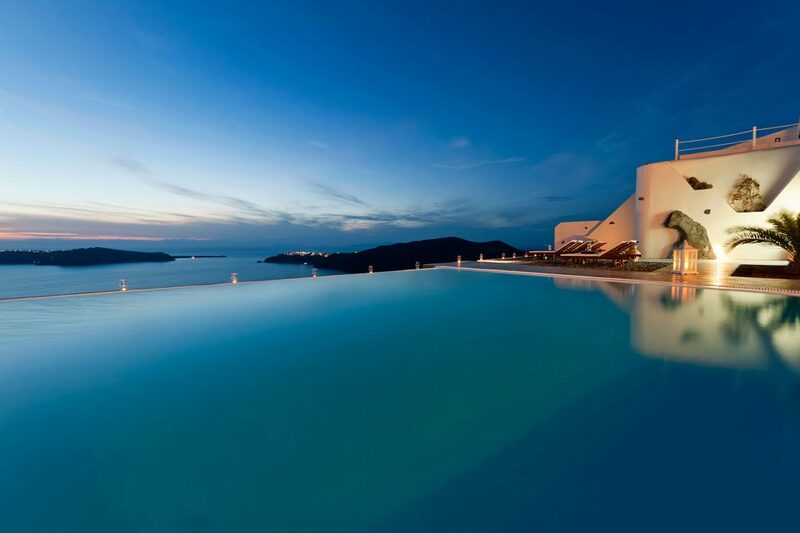 There is a fairly large infinity pool overlooking the sea and there’s a cave-like spa on-site with a full menu of traditional and holistic treatments as well as a small pool. 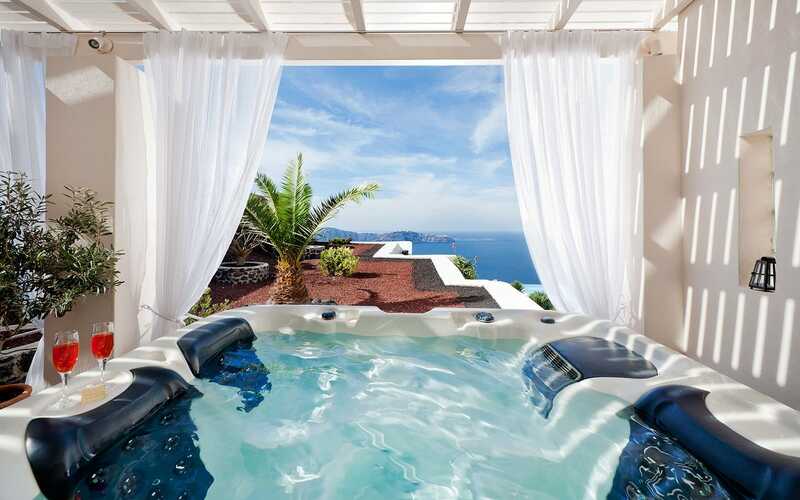 The spa also has an eclectically tiled steam room and chairs for lounging. 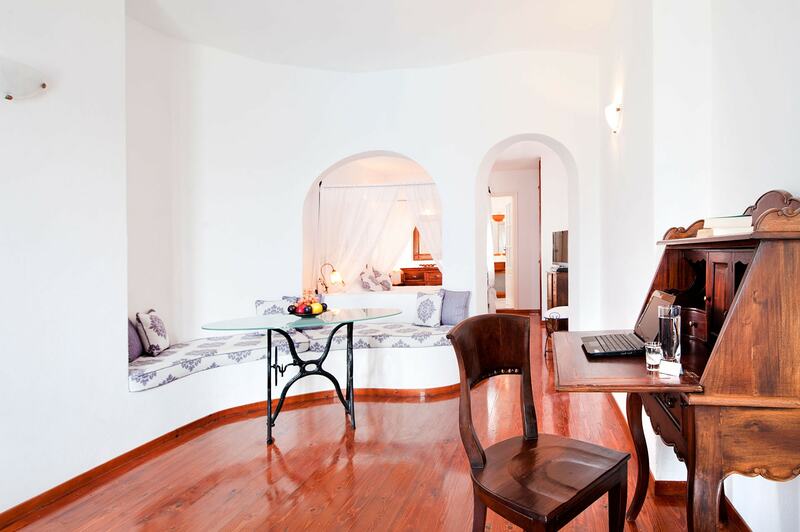 The Anastasis offers a 24 hour reception desk with concierge assistance, Transfer service, Car and motorbike rental services. 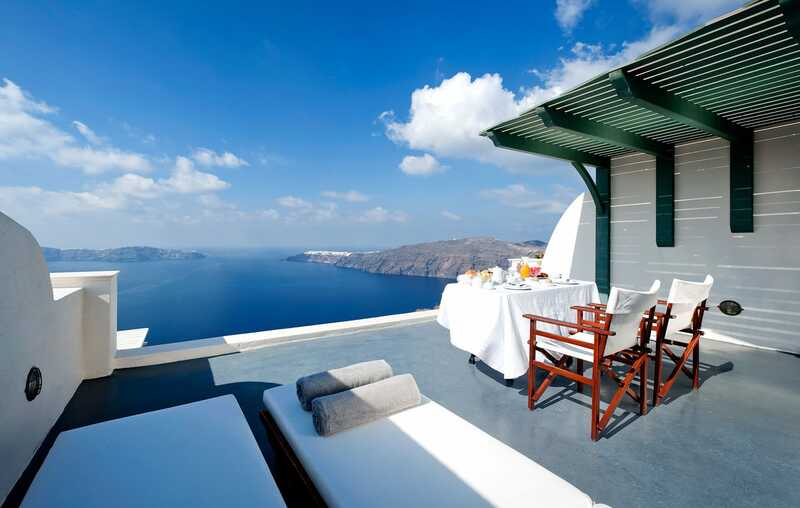 There’s also a large wooden terrace with a white veranda and cushion-less sitting area overlooking the sea. 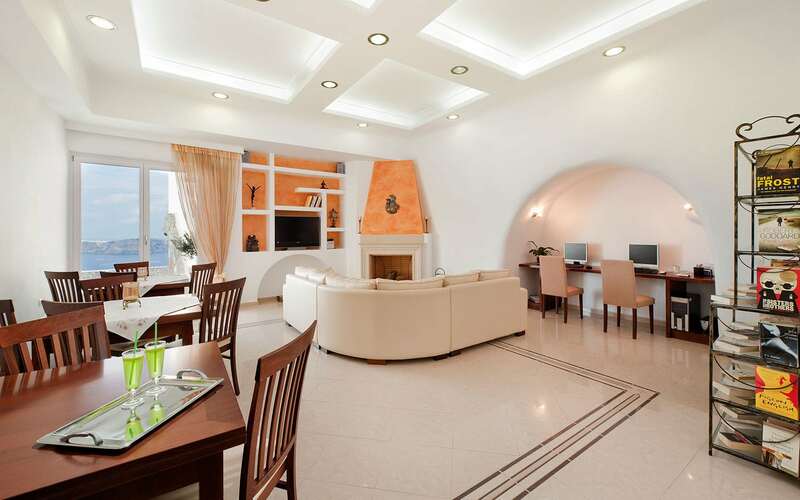 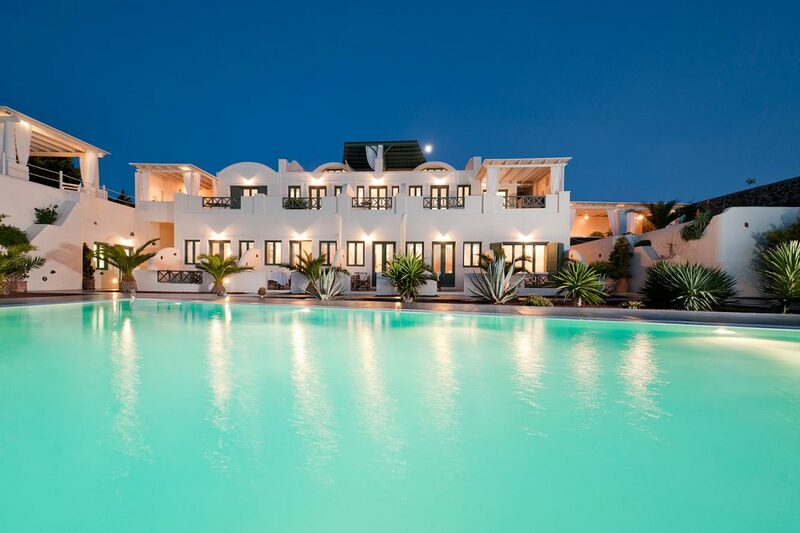 Anastasis Apartments have ten apartments and suites, one exclusive villa offering discreet luxury for a pleasant stay. 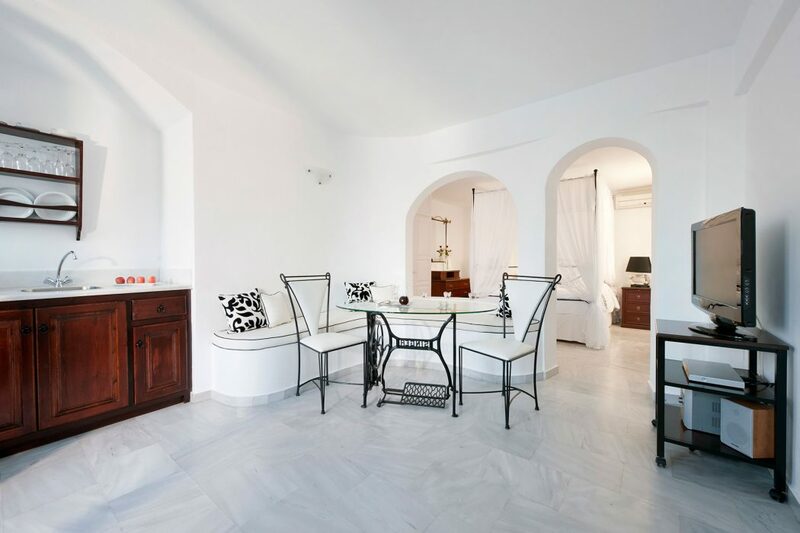 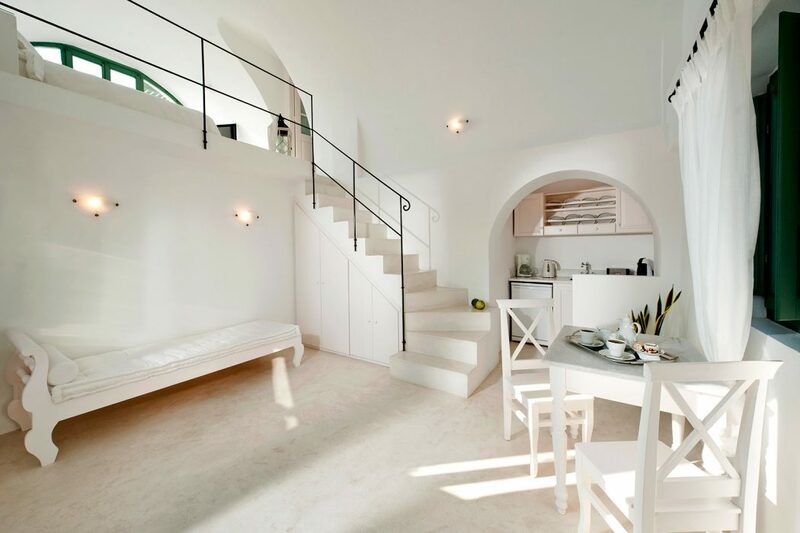 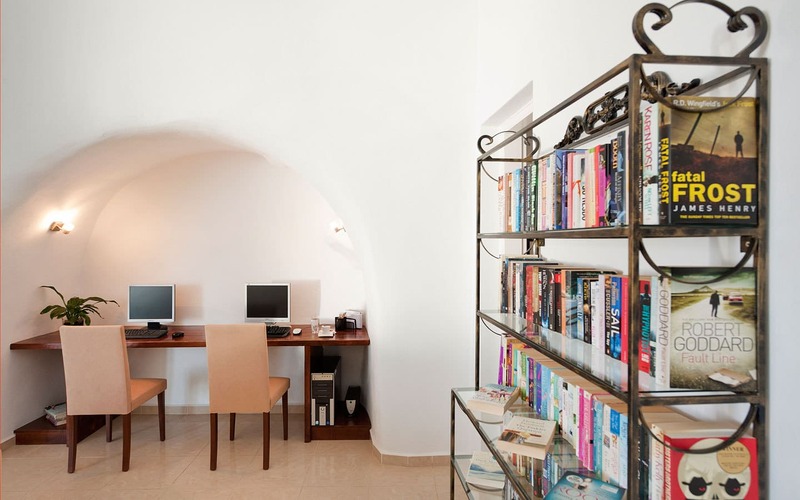 Anastasis Apartments decorated with contemporary style, ranging from tiled floors and natural wood furniture in the apartments to the marble floors and sleek black decor of the villa. 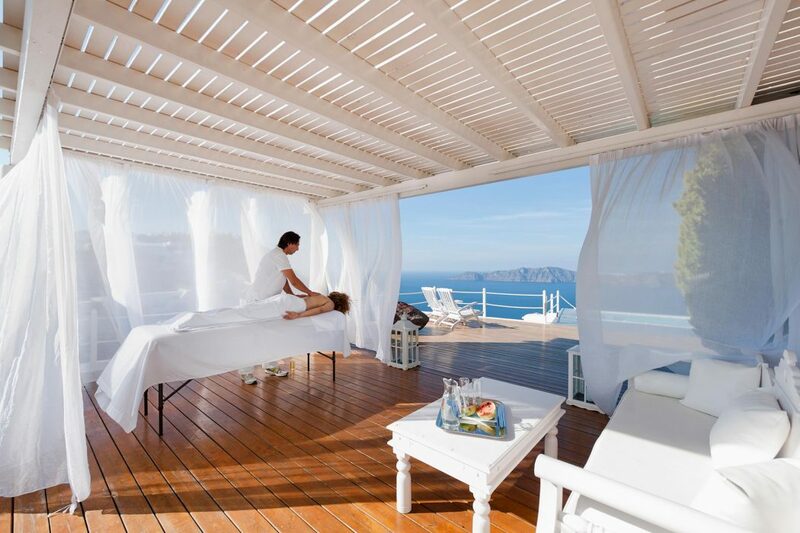 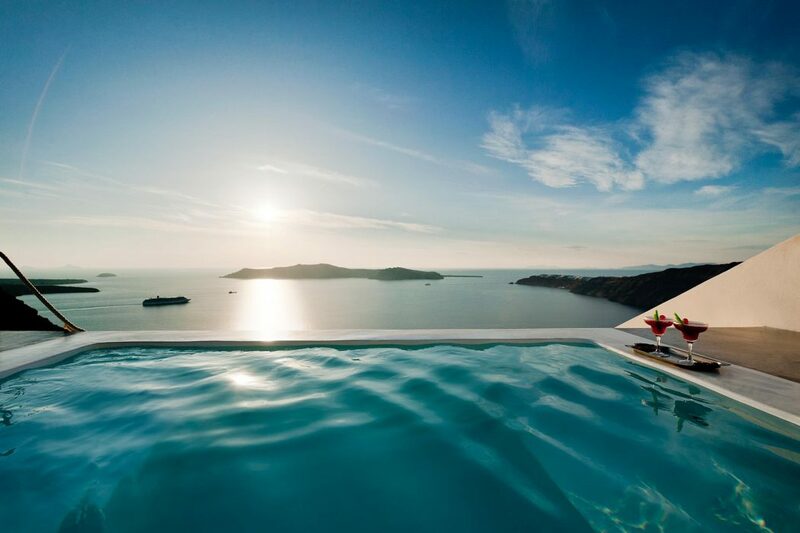 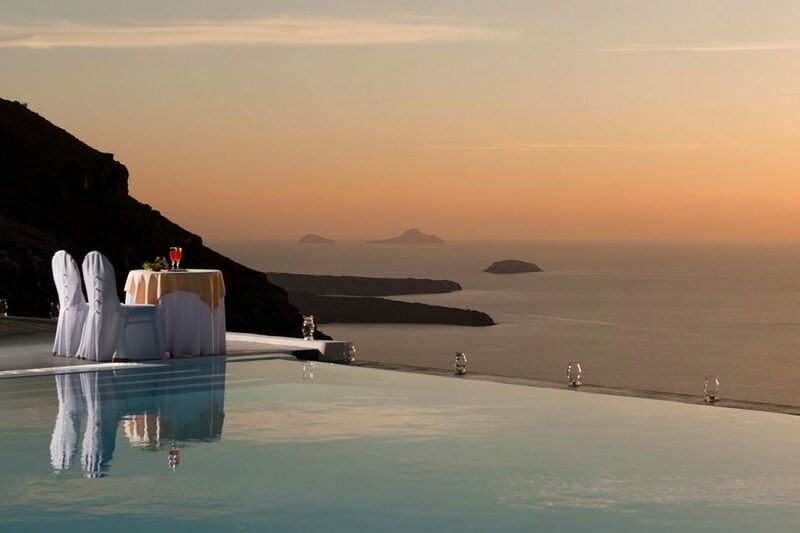 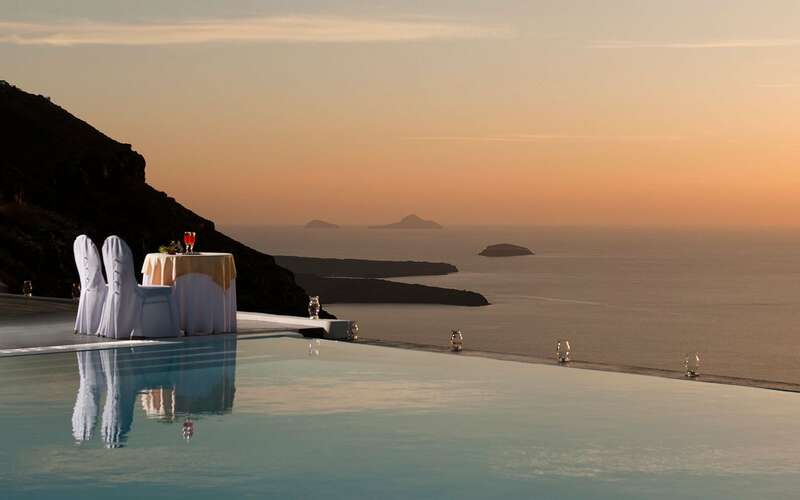 All units have undisturbed views of the caldera and Aegean Sea, particularly notable during sunset. 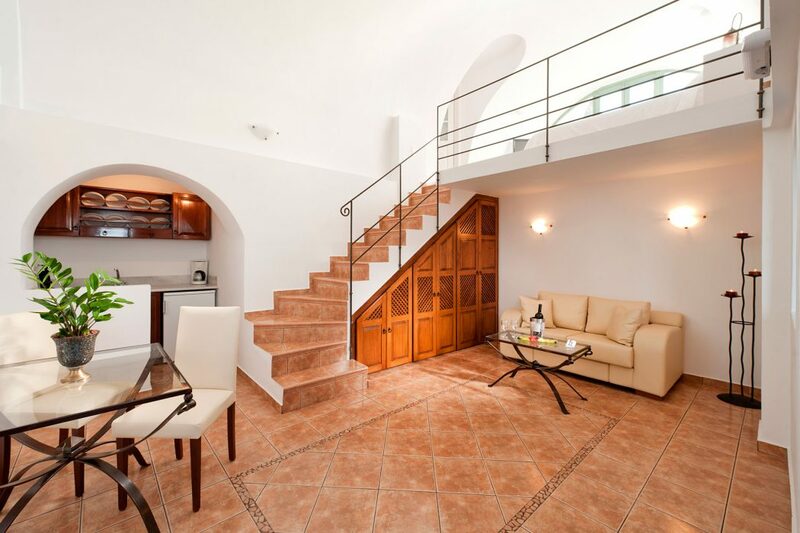 The apartments have kitchenettes, living/dining areas and furnished balconies with sea views, plus free Wi-Fi and TVs. 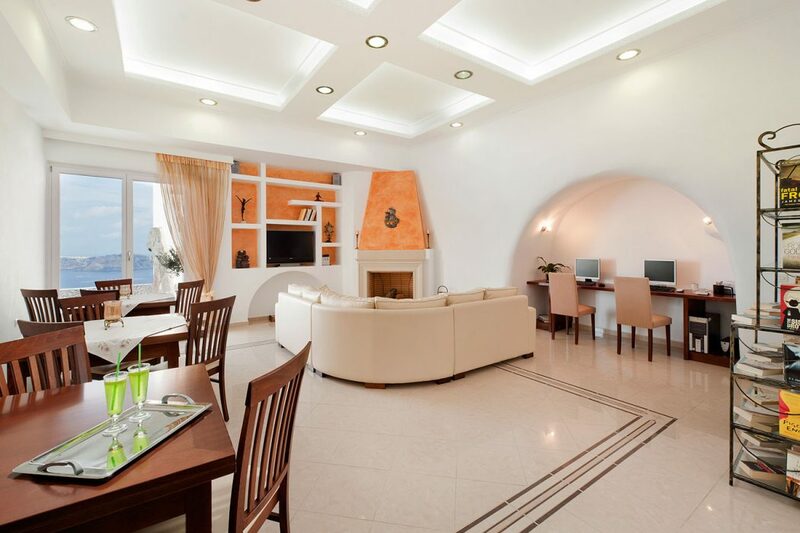 Suites add sitting areas with pull-out sofas; upgraded suites offer separate living rooms. Some suites are multi-level, and the villa’s terrace has a lounge area and whirlpools. 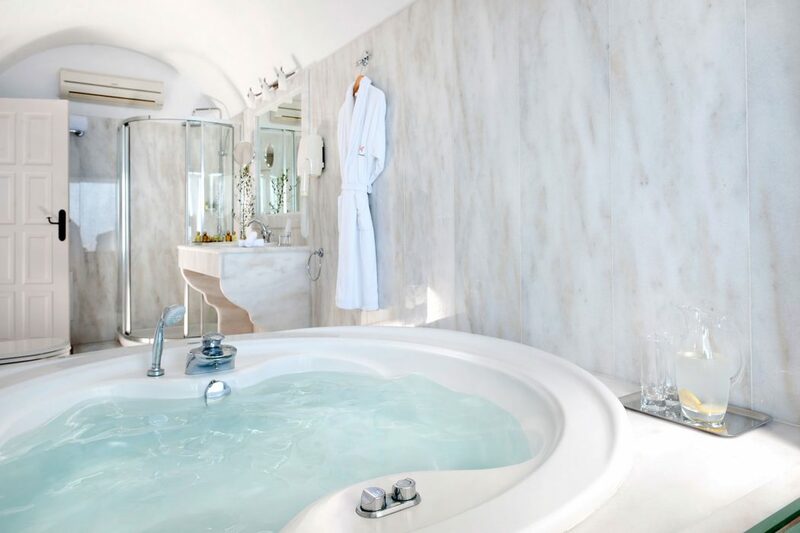 Bathrooms are spacious with marble floors and mosaic tile accents, and also come with luxury toiletries, bathrobes, and slippers. Anastasis Apartments have a restaurant but no full-service restaurant. 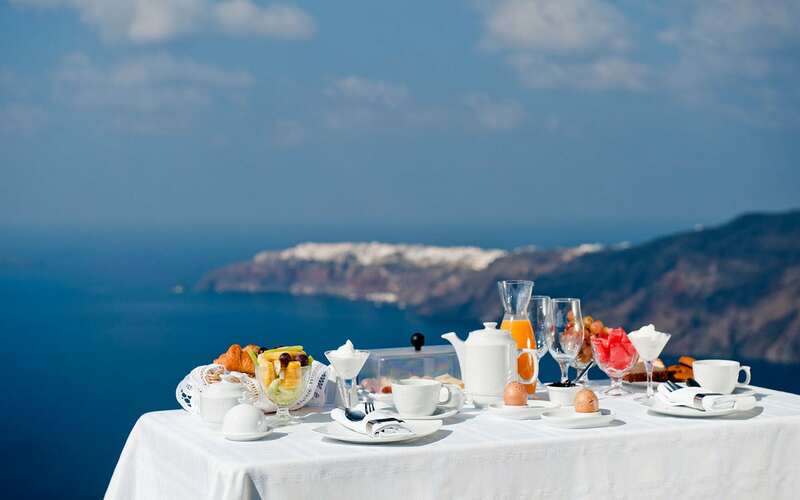 Although the hotel doesn’t have a full-service restaurant or bar on-site, there is snack service – the hours and menu are limited – and a free breakfast that can be served either on your room’s private terrace or poolside. 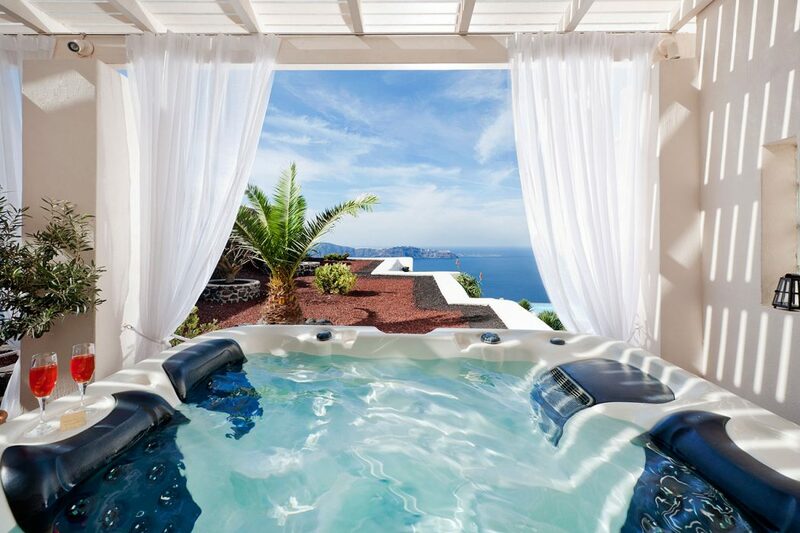 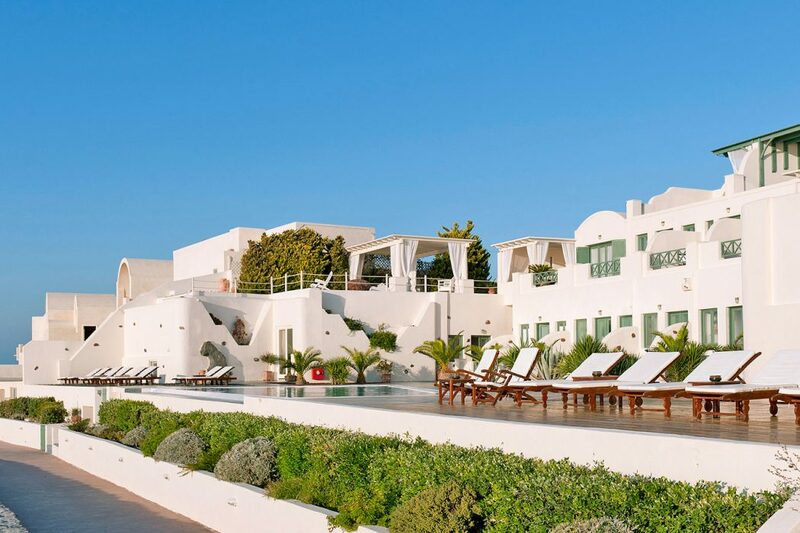 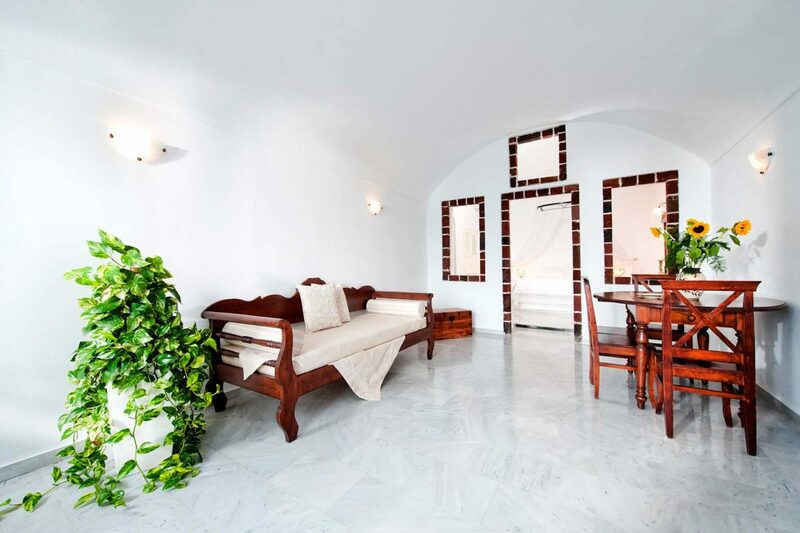 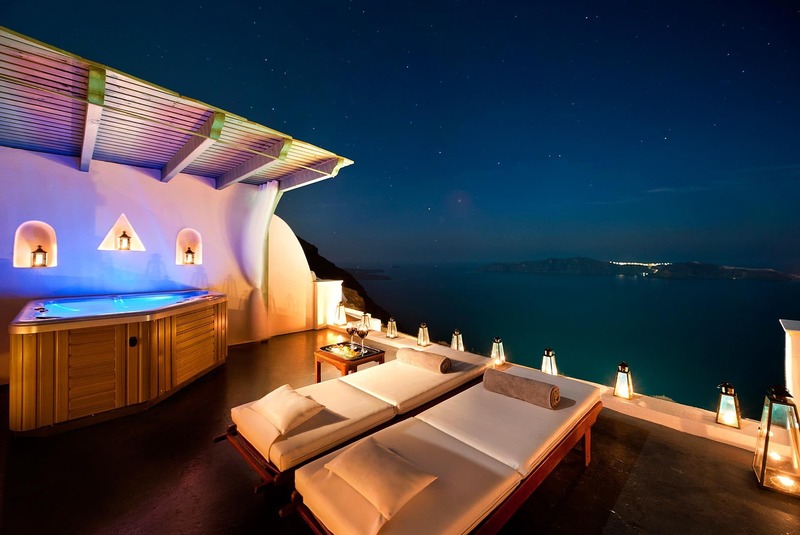 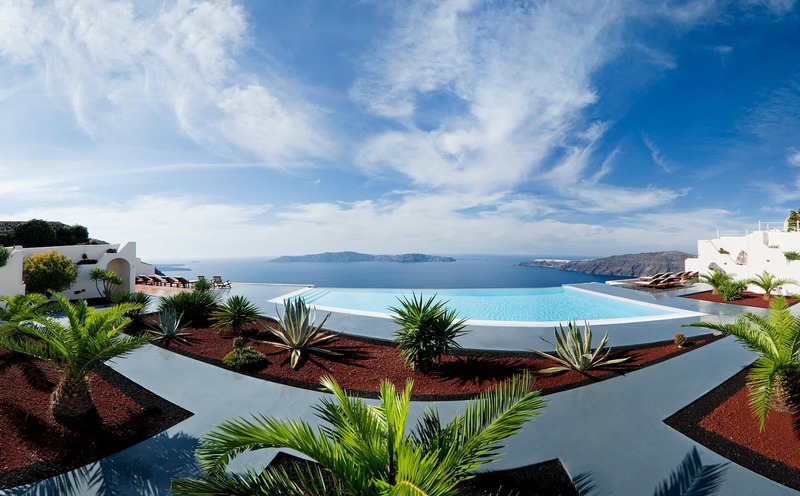 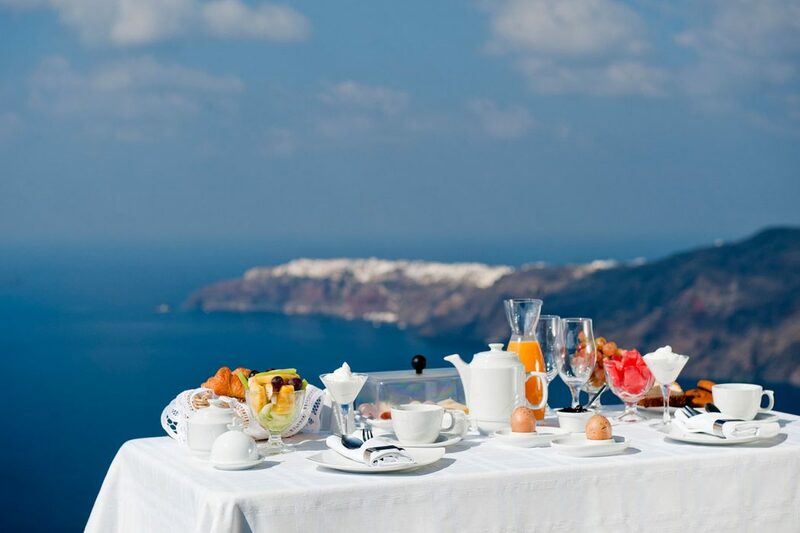 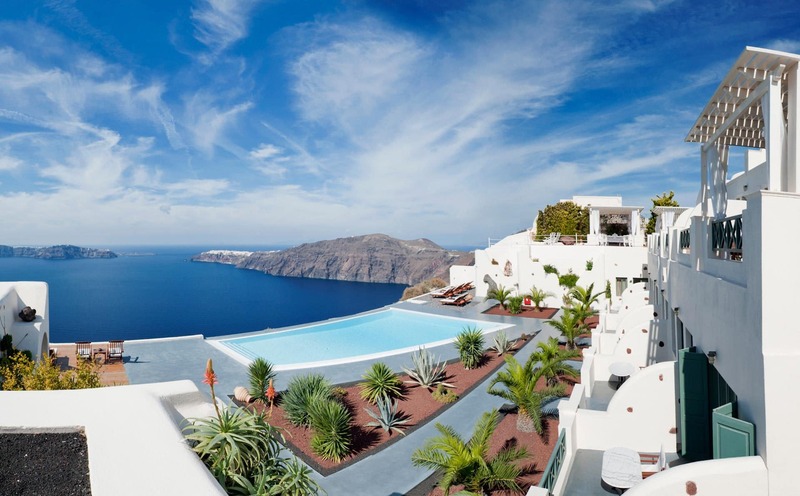 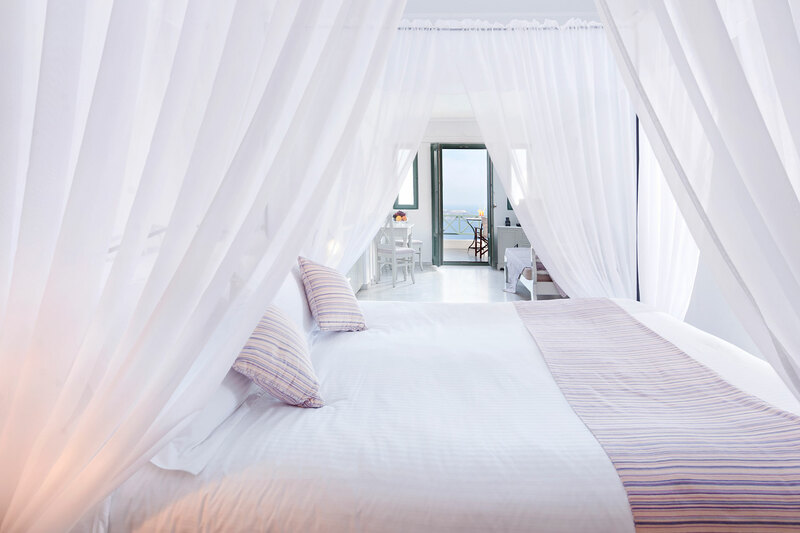 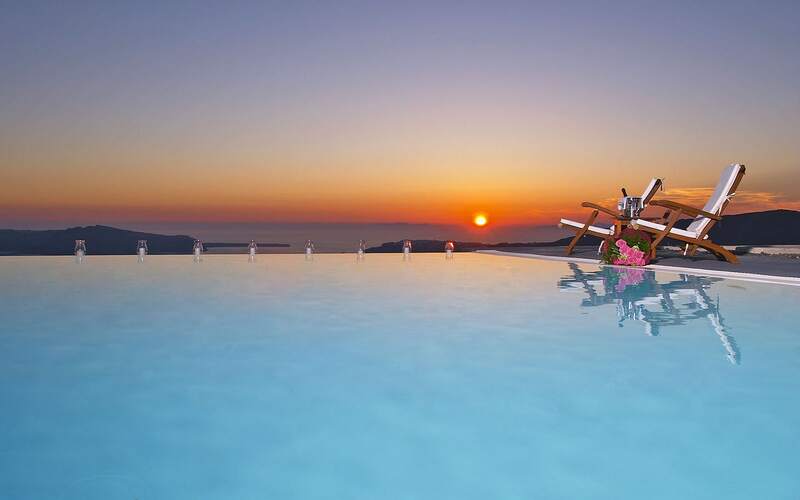 Hotel Address : Anastasis Apartments, Imerovigli, Santorini Island, 84 700 Greece.